The University of Florida Alumni Association was organized and chartered in 1906 by the first group of graduates from the Gainesville campus. Today, living alumni total over 400,000 and reside in every state and in more than 100 countries. The Gator Nation truly is everywhere. 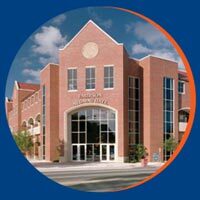 Reunion programs are organized and conducted by the Alumni Association and have been successful in bringing alumni back to Gainesville, with activities that are designed to involve returning graduates with campus life. 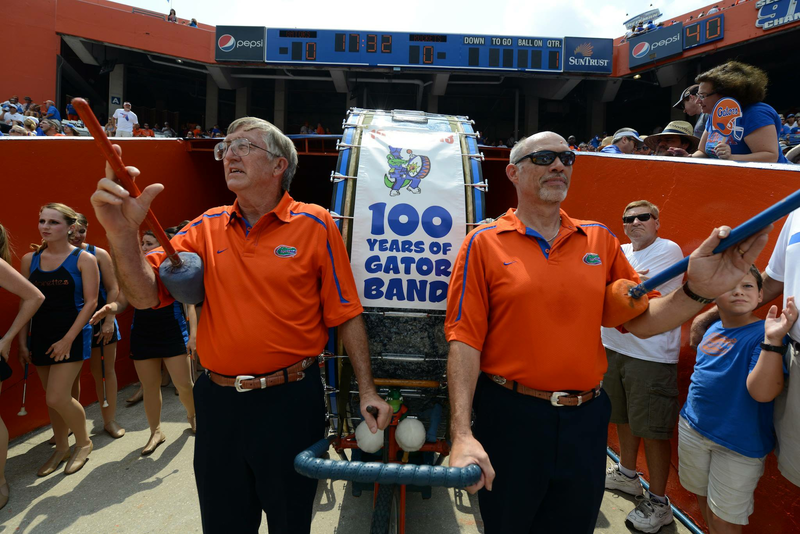 We host the Grand Guard reunion, which honors 50 year graduates of UF. In addition, reunions for other milestones occur annually. We also host several signature events including Gator Nation U, the Orange & Blue Tailgate, Outstanding Young Alumni Awards, the Gator Gala and our Gator Nation Tailgates before each home football game. Specific groups have been organized to represent the needs of special interests on the campus, including the Association of Black Alumni and the Association of Hispanic Alumni. In addition, Student Membership in the Alumni Association was developed to create networking opportunities between current students and alumni. With more than 10,000 members, this group offers career networking, social events and special programming. The Florida Cicerones, who are UF’s official student ambassadors, are also members of this group. These students, specially selected to represent the University, lead tours and host events across UF’s campus. We, the members of the Class of 1906, the first graduates of the University of Florida, in order to keep alive a sentiment of affection of our Alma Mater, unite the graduates of successive years by a common tie of fellowship, foster the feelings of friendship and love toward each other, promote the welfare of the University, and encourage education, do ordain and establish the constitution for our government. 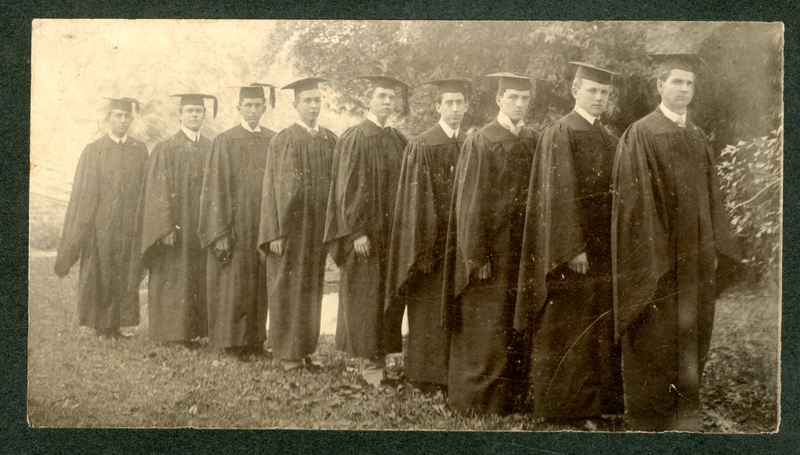 With those words, the 14 graduates of 1906 established the UF Alumni Association at the close of their commencement ceremony. The first president was W.A. Munsell of Green Cove Springs. At that time, the main purpose of the Alumni Association was to hold annual meetings and social events. Before settling into Emerson Alumni Hall, the UFAA offices have had a number of homes on campus, including Thomas Hall, Anderson Hall, the former "Women's Gym", the basement of the University Auditorium and the Reitz Union (to name just a few). There have been 77 presidents and our role has significantly expanded since our start in 1906. Today, the UFAA oversees nearly 100 Gator Clubs® across the country and abroad. These groups raise money for scholarships, volunteer for a variety of philanthropic organizations and host Gator Gatherings each year. The UFAA is also affiliated with the Association of Hispanic Alumni, the Association of Black Alumni, Jewish Alumni Association, the Association of Asian Alumni and Student Members of the Alumni Association. Additionally, the UFAA coordinates a travel program, with trips planned to the Amazon River, Provence, London, Verona and Tuscany during our centennial year. We also work with UF’s leading professors and scholars through our outreach program by coordinating speaking engagements for them across the country. 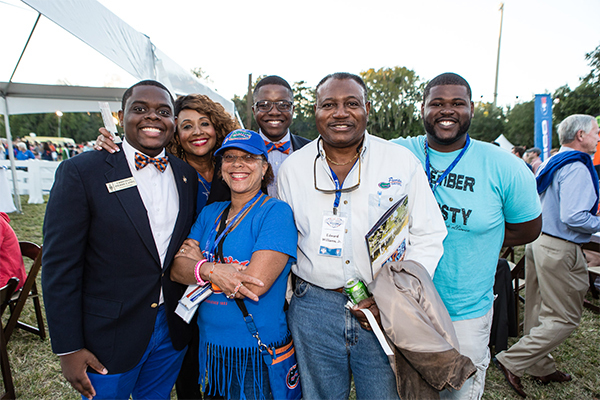 With more than 55,000 members, our alumni and friends are truly the heart and soul of the University of Florida.